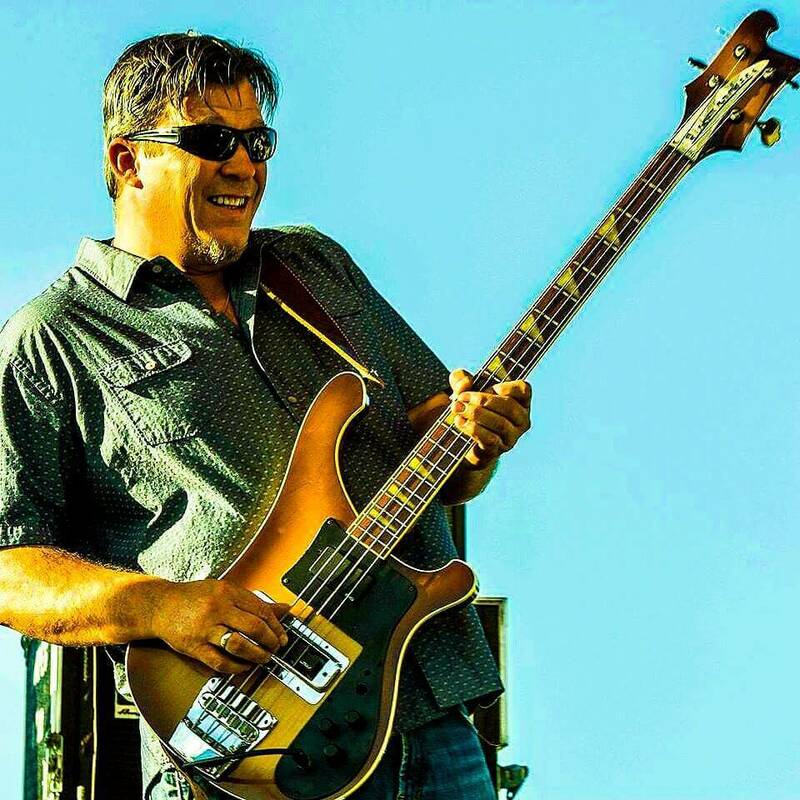 Adam Nitti has been establishing his own voice as a bassist and recording artist for over two decades. He has released five solo albums to date on his own Renaissance Man label which have drawn international acclaim. Whether vocally or instrumentally based, the most impactful musicians are the ones that tell a story through their performance. 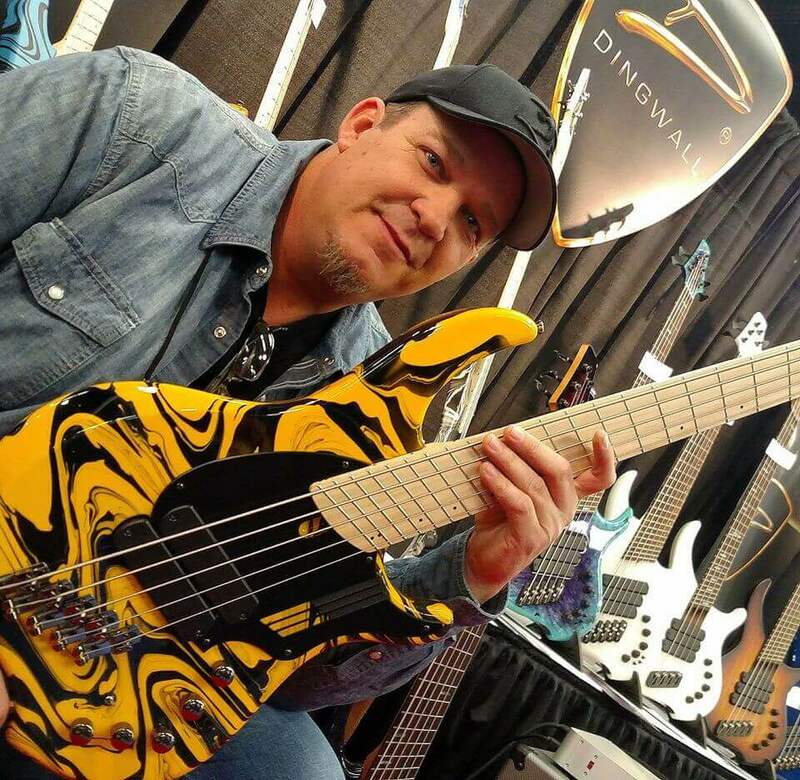 Andy – Hi Adam, It’s a great pleasure to talk with you, thanks for taking the time to share a bit of your experience with the readers here at Andy’s World of Bass. I think we are similar in age, maybe you are a bit younger. Anyway, please tell us what was your introduction into music like? How did the bass guitar find it’s way into your hands and to your heart? ? Adam – My mother’s side of the family was always very musically inclined. My grandfather was an accomplished concert pianist and concert violinist, most of my aunts and uncles could play piano or guitar, and my mother also played the piano. I remember visiting my grandparents’ house often at a very young age and always being so fascinated with the beautiful baby grand piano that was in their living room. My grandfather would always sit me down with him at the bench and try to get me to play simple melodies and rhythms. When I was five years old, my uncle gave me a beginner’s acoustic guitar. I didn’t know what I was doing with it, but I liked to strum on it and pretend I was performing. My parents, seeing my interest in music, had also gotten me a toy drumset. At the time I probably spent more time banging on that than anything else, and eventually they found a secondhand 3-piece kit at a garage sale and I continued my adventure playing the drums to albums and the radio, trying to emulate the beats I was hearing. Fast-forward a few years and my parents had enrolled me in classical piano lessons. The piano was an incredible instrument for speeding up my musical development and I had a great teacher who always encouraged me. However, after four or five years of that I was bitten by the rock and roll bug and seriously lost interest in classical piano lessons. My parents, seeing that appeasing my desires would be the only thing preventing me from quitting, agreed to purchase a used Korg Poly-61 synthesizer for me so I could play in a rock band with my closest friends. The music didn’t challenge me as much as my classical studies but I was on top of the world learning songs from the bands that I loved, such as Rush, Yes, Led Zeppelin, Van Halen, and Genesis. One day our bass player decided that he would rather play rhythm guitar, so suddenly that position became available. Intrigued by the idea of playing a second instrument, I volunteered to try playing bass and our bassist lent me his Gibson EB-O copy for a while so I could work on learning our set. As soon as I developed a little facility, I really fell in love with the instrument. 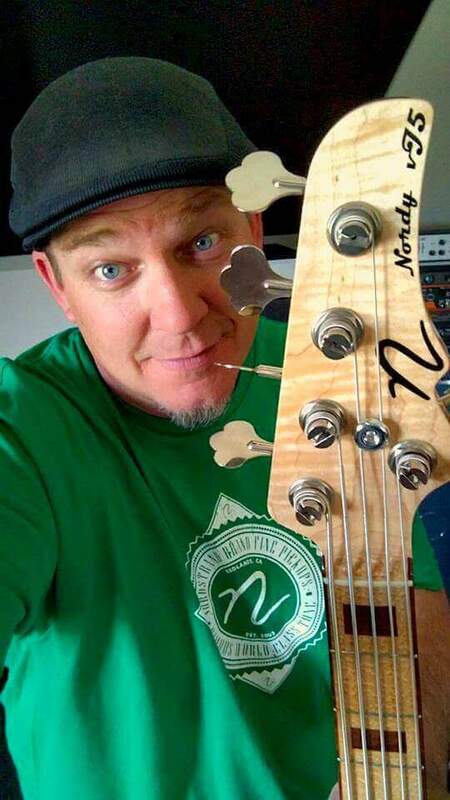 Playing bass was a whole new way for me to express myself musically, and the music that I was listening to at the time was loaded with great bass lines to learn. Because I was still playing keyboards, sometimes I would play both instruments at the same time by tapping out the bass notes with my left hand while playing chords on the keyboard with my right hand. It was a great challenge and exercise in dexterity, and to be honest I felt pretty cool when I was able to pull it off! But I couldn’t avoid the inevitable; my love for the bass guitar moved to the forefront of my musical priorities and before long it became my main instrument, with my keyboard playing being reserved more for composition. Andy- It’s no secret, I’ve told you before, you are my favorite bass teacher, I like your way of communicating, and for me, it’s easy to learn from you. What made you decide that education would be a part of your musicianship path? Not everyone can do it well, it requires far more than just the chops and theoretic understanding. Adam – Well I can’t thank you enough for your encouragement, and I’m truly humbled that what I do has connected with you somehow. The music education kind of started off for me as just something to help me pay the bills when I couldn’t get enough work performing or recording. My very first experience with it was teaching private lessons in a small music store before starting college. 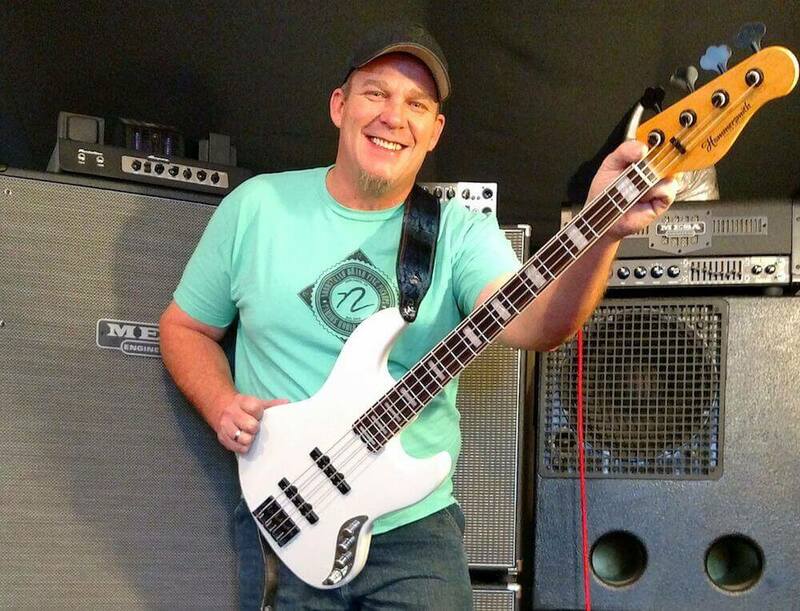 The fact that I could make money with my bass in my hands at a place where I didn’t have to book the lessons, myself was incredibly attractive to a musician that needed some way to cover his gas, insurance, and other expenses. Although I was mostly teaching kids whose parents were making them go, I gained really valuable experience relating to students and figuring out ways to sneak in some actual music knowledge when they thought they were just going to learn to play their favorite tunes. When I eventually left school to try and ‘go for it’ with my music career, I still relied on private teaching to help fill in the voids; but as I worked to try and make a name for myself as a bassist and solo artist I started to realize that the type of music I was composing and playing was mostly going to attract musos and aspiring players. This led to an interest from the outside in not only what I was playing but how I was playing it and where the knowledge and inspiration had come from. The event that ultimately led to my incorporating music education officially into my vision and income stream was when I landed my very first endorsement. 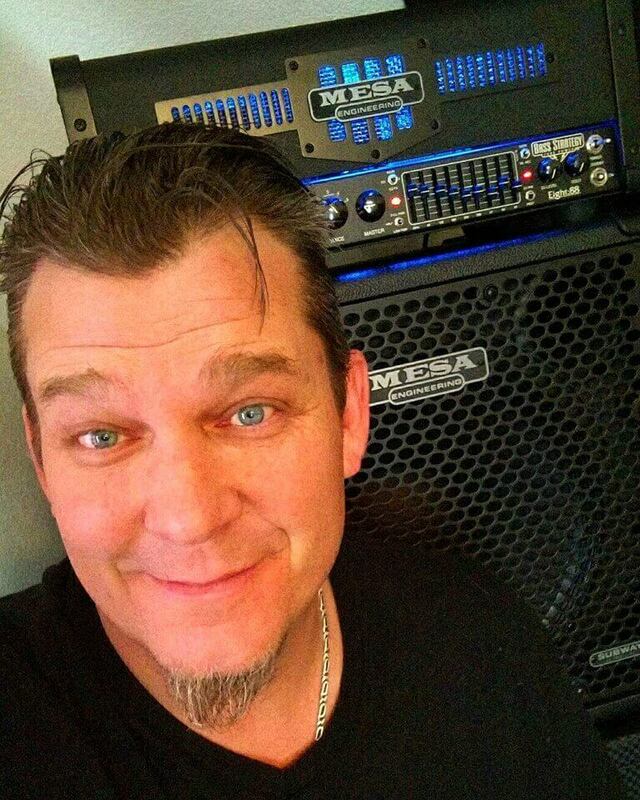 Having an endorsement with a well-known manufacturer of amplifiers meant that I would then be able to perform bass clinics for the company, and bass clinics allowed me to combine performance with teaching. It was a perfect setting for honing my communication chops and allowed me to develop more of a style as a clinician. This of course led to other opportunities in which I could share knowledge and eventually grew to my having my own bass educational website online. Andy – If I think about the rewards music has brought me over the last 35 years it empowers me, and really keeps me in a place of gratitude. What are a few of the rewards and special memories, or experiences that music has provided for you? Also, what are your are some of your future goals and current endeavors? Adam – I love questions like these, because they remind me to regularly reflect on the blessings of the past and not just think about what’s next. Often we get so caught up in the pursuit that we never get a chance to actually enjoy where we are. I was so very guilty of that for many years, and it really stole a lot of joy from me as a result of being so obsessed with trying to make my way up the ladder. Thanks mostly to my wife’s objective insight and ‘coaching’ combined with some tough life experiences that broke me down and challenged me, I am now in a place where I really try to live in the moment and be mindful of all of the gifts that I have been given so far in my journey. And these gifts and rewards aren’t just music-related; they manifest their positivity through simple things like nature, family time, friendships, and community. The gift of music has literally taken me around the world to places I would have never been able to visit otherwise. I’ve had the honor of getting to record and perform with many of my musical heroes and influences, and have even forged special friendships with a handful of them. My musical experiences have taught me so much more about life then they have notes on a staff, and although the journey has been painful at times, I still don’t have any regrets. I’ve been fortunate to have so far lived my dream of making a living as a musician, and I am more grateful than ever for it. As far as future goals, the short answer is that I want to keep releasing albums that challenge me as a player and artist, and also experience some things I haven’t done before musically. I also want to expand what I have been doing educationally at AdamNittiMusicEducation.com and continue building a community of students and instructors that are like-minded in their desire to refine their identities and pursue excellence in their musicianship. Currently I am writing for my next album, which is going to be a departure from what my fans have heard from me before. My hope and prayer is that my music and lessons will help to inspire and encourage others in ways that are challenging, exciting and dynamic. 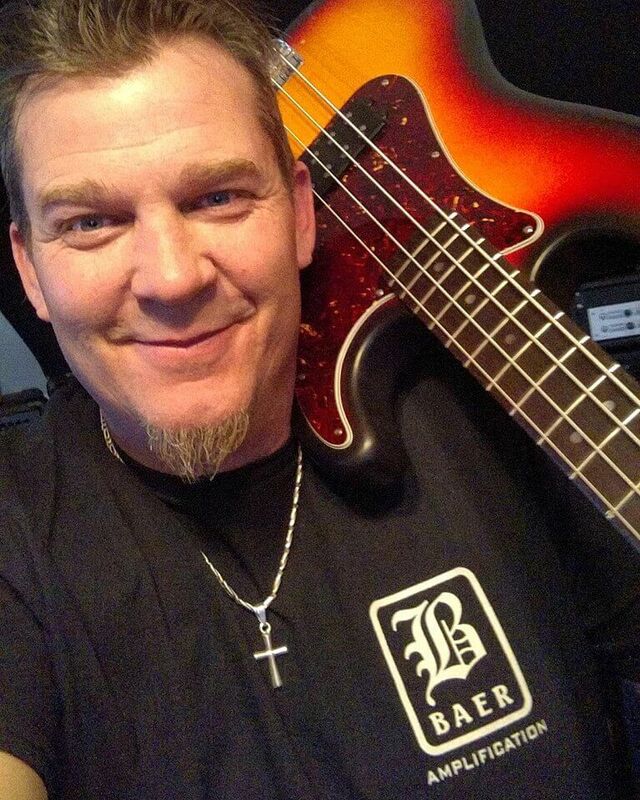 Now that both the custom and production versions of my Ibanez signature bass have been released, I am super-excited to do more bass clinics internationally and share my music and teaching concepts with new listeners. Andy – I find inspiration from many things, and though music is a big part of what I love to do for fun, and professionally, it does not define me as a person. Where do you find inspiration from, and what other things do you enjoy doing besides playing the bass? Adam – Without trying to sound melodramatic, my perspective on all things really changed once I learned that there was more to life than just music. Like you, I don’t feel that I am completely defined by it. Although that may be the medium by which many people have been introduced to me, it is really just one of the many parts that make up who I am as a person. Another parallel truth is that a long time ago I discovered that my music has been influenced more by my life experiences than it has my musical experiences. Although that may sound counterintuitive, it underlines the fact that music is a communicative force, and that communicative nature is what attracts us to it in the first place. Whether vocally or instrumentally based, the most impactful musicians are the ones that tell a story through their performance. These stories convey emotions and feelings, and are what make music a truly living, breathing entity. I am a person that loves to embrace life and experience new things, and the more opportunities I get to enjoy the different gifts that life offers, the happier I am. In my lifetime so far I have been fortunate to take part in a pretty wide variety of activities and hobbies; and if there is one thing I love as much as music, it’s cool cars and motorsports-related hobbies. I grew up around European sports cars and got ‘driving fever’ at an early age. My father owned and restored dozens of exotics and as crazy as it sounds, I made a real emotional connection with the sights, sounds, and smells coming from these glorious machines. To this day I’m still a total gearhead and garage nerd, and I own a few classics, including an older BMW GTS2 racecar. I love being on the racetrack as much as I love being on stage. I also really love spending time with family, and although we live out of state from everyone, we really cherish our time visiting and spending time together. Great interview, important topics, as always Adam is a teacher of life than just music and bass, giving different and deep point of views to face the future and enjoy what we got! Adam was the head of the bass dept. at Atlanta Institute of Music, back in the day. I wanted to go there REALLY bad, but didn’t have the finances to do so. I joined the U.S. Army, and gave up 3+ years of my life, in order to pay for the music education I so desperately needed (& still do). Upon my separation from the Army, I was HORRIFIED to learn that the Veteran’s Administration did not have A.I.M. on their list of schools that they would approve of, so I couldn’t use my G.I. Bill money to pay for their tuition. Living in Nashville gave me a great opportunity to attend several of Adam’s Masterclasses at his Music Dojo. I have many notebooks from my studies with Adam that I reference all the time.